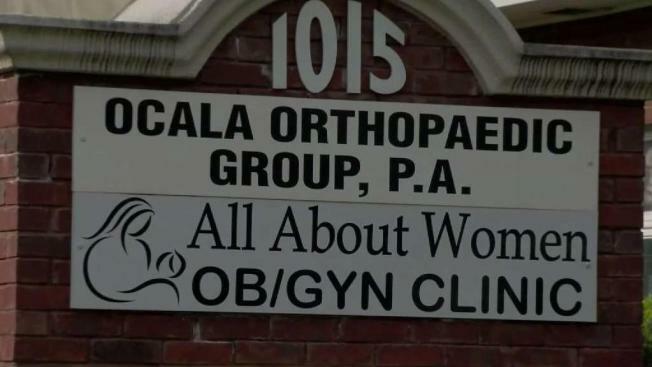 A pregnant Central Florida woman says she was left alone for so long inside a doctor’s office that the staff forgot about her – and locked the woman inside. Kendra Richardson told NBC affiliate WESH-TV that she showed up for an appointment at the office in Ocala, but did not see the doctor for several hours after her scheduled appointment. Richardson, who is due later this month, said she was given a paper gown and told to wait – but the doctor never came back. Moments later, she walked out of the exam room to find the lights off with the doors locked and no one else inside. "I mean, I took video because people are not going to believe me," Richardson said, showing video of her wandering the hallway. Richardson called 911 and was able to get out after an officer got inside from an adjacent suite at the complex. The doctor’s office has not responded to the station’s request for comment.